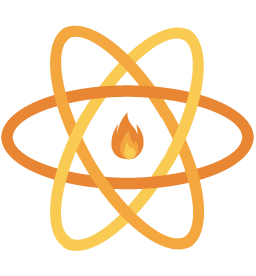 Although the official Firebase JS SDK will work with React Native; it is mainly built for the web and has a limited feature-set compared to native. Using the native Firebase SDKs with React Native Firebase allows you to consume device SDKs which don't exist on the Firebase JS SDK - for example; Remote Config, Performance Monitoring, Dynamic Links, Analytics and more (see the feature table below for comparison). The Web SDK column indicates what modules/functionality from the Web SDK are usable within React Native. -- Offline Persistence ✅ ? The table below shows the supported versions of React Native and the Firebase SDKs for different versions of react-native-firebase. For questions and support please use our Discord chat or Stack Overflow. The issue list of this repo is exclusively for bug reports. Please make sure to complete the issue template before opening an issue. Issues not conforming to the guidelines may be closed immediately. For feature requests please visit our Feature Request Board. Detailed changes for each release are documented in the releases notes. Thank you to all the people who have already contributed to RNFirebase!